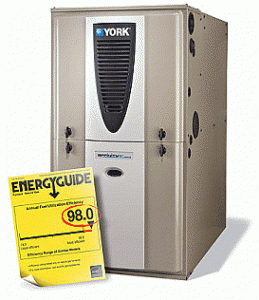 The Affinity™ 9.C is the highest rated gas furnace in the industry (up to 98 AFUE). The EnergyGuide label outlines the energy use and efficiency of major home appliances. With its industry leading efficiency, the Affinity™ 9.C EnergyGuide rating exceeds government standards - insuring exceptional quality and low energy use.